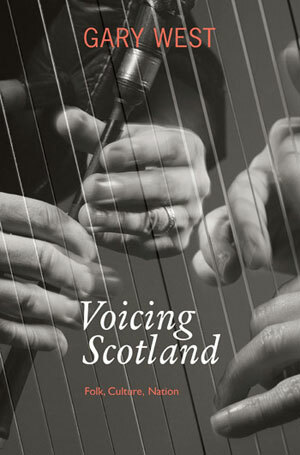 Voicing Scotland takes the reader on a discovery tour through Scotland’s traditional music and song culture, past and present. West unravels the strings that link many of our contemporary musicians, singers and poets with those of the past, offering up to our ears these voices which deserve to be more loudly heard. What do they say to us in the 21st Century? What is the role of tradition in the contemporary world? Can there be a folk culture in the digital age? What next for the traditional arts? Voicing Scotland was shortlisted for the 2012 Trad Music In The Media Award (sponsored by The Saltire Society) at the MG ALBA Scots Trad Music Awards. Gary West is a senior lecturer in Scottish Studies at the University Of Edinburgh. He is also an active traditional musician and teacher, and presents a weekly programme, Pipeline, on BBC Radio Scotland. Originally from Pitlochry in Perthshire, he played for many years with the innovative Vale Of Atholl Pipe Band, winning the Scottish and European Championships. In his late teens, he moved sideways into the folk scene, playing, recording and touring with the bands Ceolbeg and Clan Alba, and becoming a founder member of the ceilidh band Hugh MacDiarmid’s Haircut. He has performed on around twenty albums, including his debut solo release The Islay Ball and a collaboration - Hinterlands - with harpist Wendy Stewart.